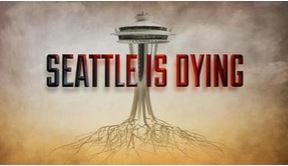 The KOMO documentary Seattle is Dying is a powerful and angry film, denouncing the city council and courts for allowing homeless camps, tents, filth, and crime to fester. It depicts the low-functioning homeless who are drug addicted, mentally ill, and/or criminal. It condemns the inability or unwillingness of the police, courts, and city council to address the problem. The film shows footage of tents, trash, needles, and mentally ill homeless people. It shows a list of 100 repeat criminals, most (or all) homeless; the police arrest the criminals but the courts release them back to the streets, where they re-offend. Many of the repeat offenders have been arrested and released scores of times. Why aren’t they behind bars or in rehab? The city does not enforce laws about public camping. San Fransisco has even worse problems of this kind. San Fransisco and Seattle are the two worst cities for property crimes, according to the film. Police officers complained, anonymously, that they aren’t allowed to enforce the laws, and even if they arrest homeless offenders (at great danger to themselves), the criminals are soon released to the streets. The filmmakers interviewed one cop who quit because he couldn’t stand the policies. But not all homeless people are low-functioning. Many homeless people just fell out of the middle class: by losing jobs, by divorce, by health crises, or by domestic violence. In contrast to Seattle is Dying, Trickle Down Town: a film about homelessness in Seattle is about the high-functioning homeless. It is uplifting, not angry, and it tells of success at building tiny homes for to replace tents. Because Seattle is Dying ignores the large number of high-functioning homeless people, it’s punitive solution (incarceration) is not appropriate in general as a solution to homelessness. Another criticism of Seattle is Dying is that it’s produced by KOMO News and hence is suspect. KOMO is owned by Sinclair Broadcasting, which has been widely criticized for being allied with Trump and for forcing newscasters to present coordinated propaganda pieces. This article in the Seattle Times discusses the turmoil and anger in the KOMO news room as Sinclair enforced their right wing policies. There was footage in the film showing angry residents holding signs and shouting at feckless city council members, one who responded by saying “homelessness isn’t a crime.” The film suggests that the real problem is drug addiction (not homelessness) and the consequent theft to support drug habits. The filmmakers interviewed shop owners in Seattle whose businesses suffered because homeless people left trash (or worse) outside their stores, started fires, and shoplifted. One shop owner moved her store to Bellevue, where it is thriving (and where there is a contentious plan to build a low-barrier men’s shelter). At the end of the film, there is a long segment about the apparently successful program in Rhode Island to rehabilitate drug users in a prison-like building. Several of the interviewed former users were grateful for having been arrested, saying that they’d probably be dead or in prison for life had they not been rescued. After treatment, users are released to the community. However, they will likely have to take methadone, suboxone,or vivitrol for the rest of their lives. I think the film did make a valid point that it’s not compassionate to leave drug-addicted and mentally ill people to languish on the streets. Indeed, many liberals blame Reagan for closing mental hospitals and sending inmates out onto the streets. A big non sequitur in the film is the scene of construction workers loudly chanting “No Head Tax, No Head Tax” at Seattle City Council member and socialist, Kshama Sawant, and the implication that the head tax encourages drug addiction and crime. Sawant was flustered and helplessly tried to explain to the workers that she was their ally against “the man.” The filmmakers added in the voice-over that the incident was some sort of turning point — a boiling over of outrage at the city’s handling of the crisis. The non sequitur is: How can we address the homeless and drug crises unless we have funds to pay for it? For example, how can we pay for McNeil Island without lots of money? When I made this argument on the social network nextdoor.com, some conservatives responded that we shouldn’t punish Amazon, which provides jobs that give people homes. They said that taxation destroys jobs and causes homelessness. But if we don’t tax the rich to pay for social services, who do we tax? The middle class? The mantra “taxes kills jobs” is used to justify increasing inequality and welfare for the rich, who enjoy all sorts of tax breaks, have trillions of dollars stashed overseas, and pay a lower share of their income in state taxes than do the middle class. (For example, capital gains are taxed at a lower rate than earned income.) If taxing the rich kill jobs, then should we just tax the middle class? Get rid of government entirely? Ignore the $22 trillion in debt (caused by wars, the economic crash that resulted from reckless deregulation, and tax cuts)? Besides, the sort of people who are addicted to drugs and who cause crime are not gonna be helped by low taxes on corporations. Those people will not be working, especially at the sorts of jobs Amazon offers in Seattle; they need treatment and probably institutionalization (at least for a while). Most of the jobs that Amazon offers in Seattle are high paying jobs, causing gentrification — which DOES increase homelessness. Someone on nextdoor said that the main problem with the head tax is that there’s little indication that the money would be well spent. That argument is more convincing, and I do think Seattle is Dying made a cogent case that it is not compassionate to allow mentally ill and addicted people to live on the streets and to repeatedly shoplift and attack people. One conservative suggested that we make the Sackler family and Purdue Pharmaceutical (which peddled Oxycontin that drove the addiction crisis) pay for drug rehab and homeless services. I doubt that will be sufficient. Moreover, I don’t understand conservatives’ deep disinclination to tax the rich. The discussion on nextdoor became a back-and-forth about taxation and socialism. Conservatives said that socialism and socialist policies always leads to disaster (e.g., in Venezuela). 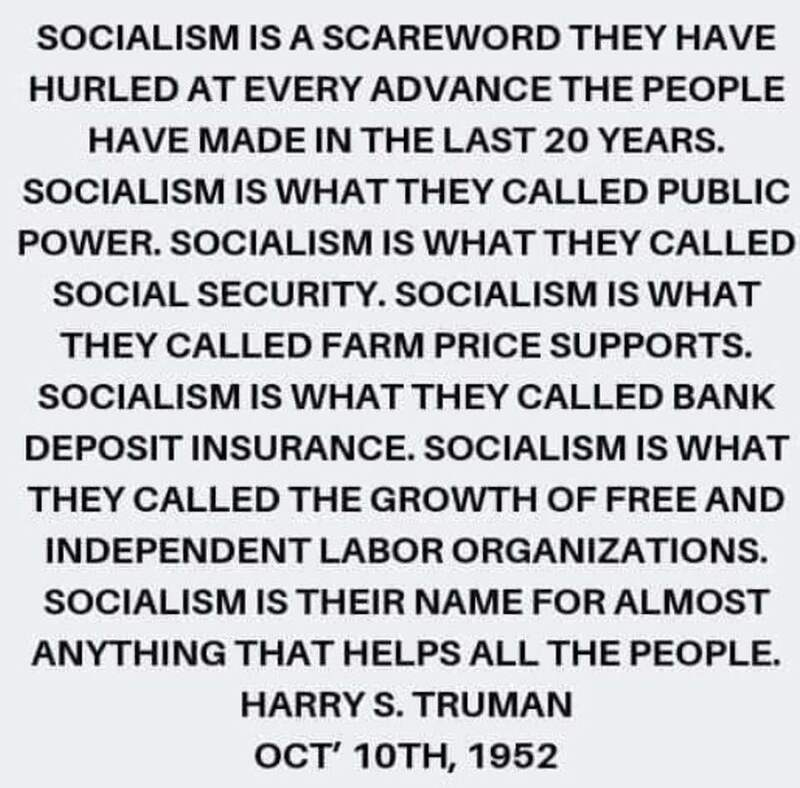 I pointed out that Medicare, Social Security, public schools, public roads, public transportation, public health programs, the police, the courts, and the military are all “socialist” institutions. But I agree we do have too much socialism in America: socialism for the rich! The rich enjoy tax breaks and increasing concentration of wealth. Few people are calling for true socialism (government ownership of the means of production). What most Democrats and progressives want is better called social democracy, or New Deal liberalism. That’s basically the policies of the 1950s GOP, which strongly supported Social Security, unions, and high taxes on the rich. (See Bring Back Eisenhower Socialism.) Also, Denmark, Norway and other countries in Scandinavia are social democracies. Denmark is regularly rated as the happiest country on earth. What social democracies support is: private ownership balanced by regulations, fair taxation, and a social safety net. [T]he Seattle metro area spends more than $1 billion fighting homelessness every year. That’s nearly $100,000 for every homeless man, woman, and child in King County, yet the crisis seems only to have deepened, with more addiction, more crime, and more tent encampments in residential neighborhoods. By any measure, the city’s efforts are not working. Encouragingly, citizens and local governments all along the West Coast are starting to demand an end to the policy of unlimited compassion. The program was a cynical and biased look at homelessness in our city, shamelessly compiling countless video clips of homeless people in crisis, and offering law enforcement as the only solution. It was a despicable, misleading, propaganda piece, even by the standards of KOMO’s parent company, Sinclair Media, widely known for requiring its affiliates to broadcast conservative propaganda across the country. The piece featured very little actual reporting… At one point they showed video of a homeless person in crisis, speculated without evidence on what caused his crisis, and referred to him as a “wretched soul”. Sinclair/KOMO did not interview a single person working directly with people experiencing homelessness, and only interviewed two people who were actually experiencing homelessness themselves. There was no time devoted to discussion of root causes of homelessness, the affordability crisis, or the decades of public policy that has brought us to this point. It is now being shared across Seattle’s conservative social media as definitive proof that the must escalated its war on the homeless. The article also discusses the “Beheading Hoax” — a fake news story about a homeless person beheading people in Seattle. Someone on nextdoor responded to the article by saying that Goebbels would be proud of the effort to hide the stubborn facts, evident from the film. This article blames de-institutionalization of the mentally ill. Seattle Is Dying: Hundreds of Homeless Dead Due to Failed Public Health Policy Would society be willing to spend the needed money? It might be cheaper and better than the status quo. Johnson appears to have started with a foregone conclusion, then set out to find sources to confirm it. There are no interviews with city officials, nor with people in government who manage the homelessness system. He doesn’t talk to people working for nonprofits, who could have told him about proven programs like Housing First and permanent supportive housing. The program conflates homelessness with drug use, mental illness and crime. The program consistently dehumanizes people who are homeless. Johnson ignores the root causes of homelessness. I live in the same beautiful city as Eric Johnson, but because I work on homelessness every day, I experience it differently. I have hope that though there’s still a lot of work to do, we can solve homelessness when business, academia, nonprofits, the faith community, funders, government and more come together. It’s discouraging that KOMO didn’t look hard enough to see that there’s more to the story than what’s visible on the streets of Seattle. The program has been picked up by a particularly wretched soul, racist Fox News pundit Tucker Carlson, famous for his claim that immigrants make America “dirtier.” The KOMO report has become an instrument for demonizing West Coast cities and their politics. The propagation of fear, especially among older folk uncomfortable with change, drives ratings of America’s right-wing media. It pours more salt into social wounds than we used on sidewalks and streets in February. The “Left Coast”, as the Wall Street Journal editorial page calls us, is driving America’s knowledge/technology economy. With the demise of the Soviet Union, the Puget Sound region is home to the three remaining empires bent on world dominion — Microsoft, Starbucks and Amazon.com. Why would 108,000 people or so have moved here this decade were Seattle a dying city? We are a magnet. Blame government? Or blame corporate takeover of government?